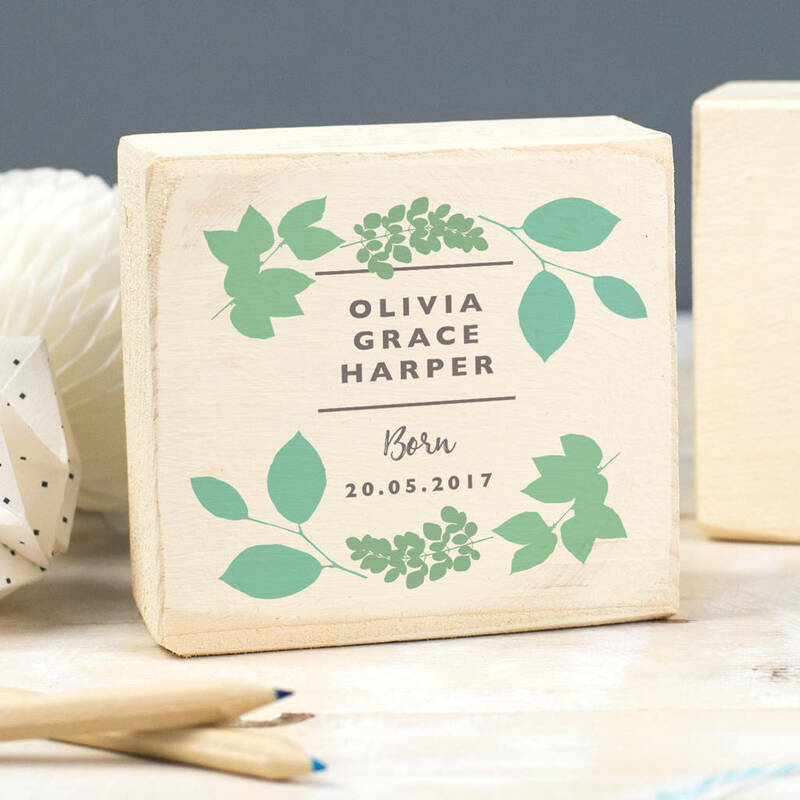 This personalised christening keepsake makes a thoughtful christening gift for a baby or child. Perfect for a special occasion, featuring a name and date. Buy this for a baby to mark a christening, baptism, naming day or birth. This handmade, rustic wooden block makes a lovely keepsake and can be displayed in the baby's nursery. Choose to add your own personal message to the back to make it extra special. 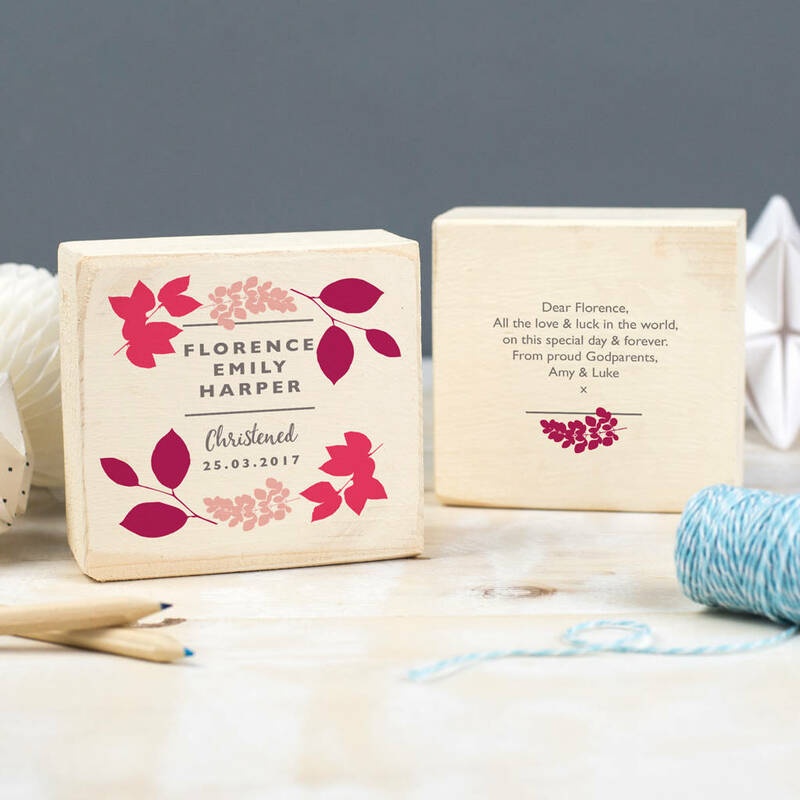 This christening keepsake is locally made from reclaimed, upcycled wood. It is then printed with your bespoke wording. 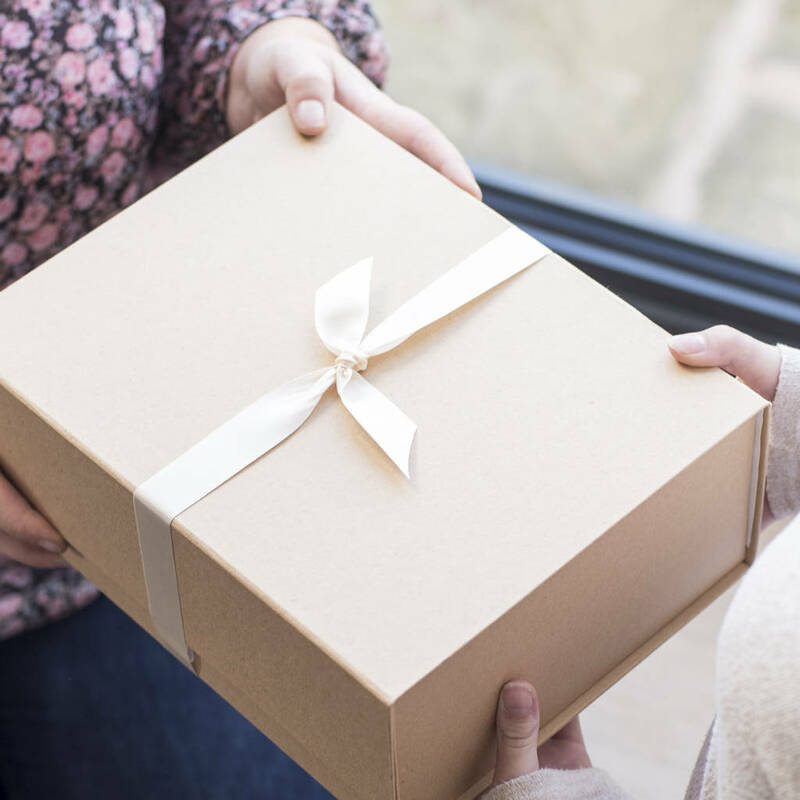 Beautifull wrapped in tissue paper, our wooden blocks are sent to you beautifully packed. Our personalised wooden nursery decoration makes a thoughtful new baby or christening present. 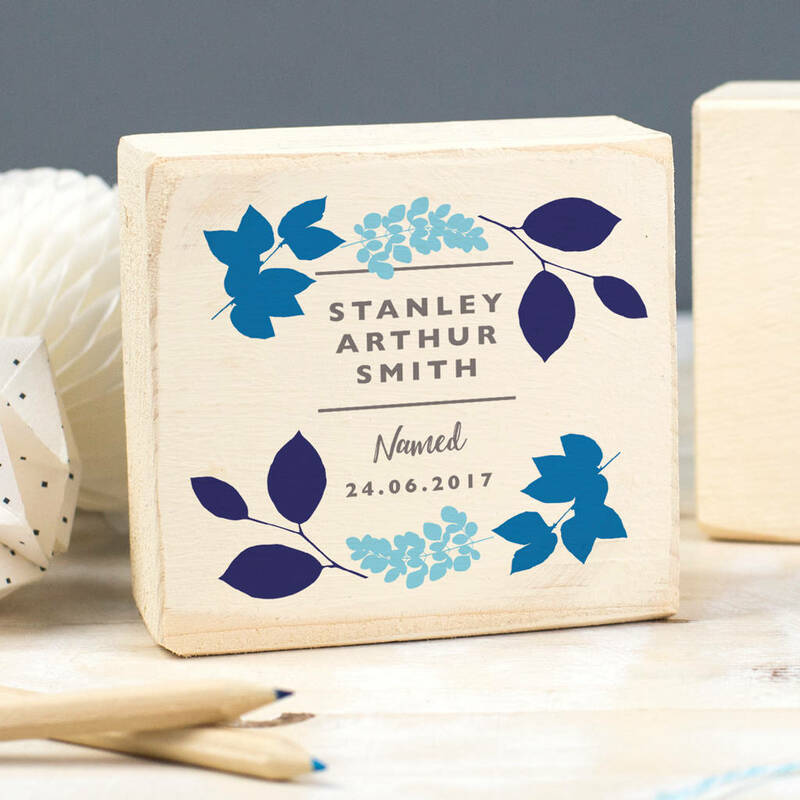 Personalise this handmade wooden block to make an extra special christening present. The front of the block features the full name of the child, followed by the special date. 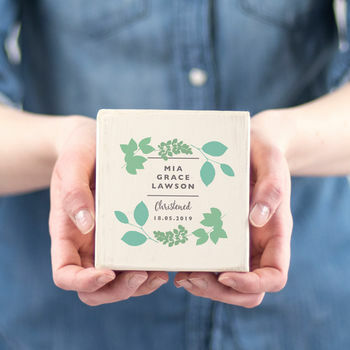 Choose to add a special message on the reverse of the block for a personal touch. Choose between 3 colourways; greens, pinks or blues. Designed and handmade in our Derbyshire studio.